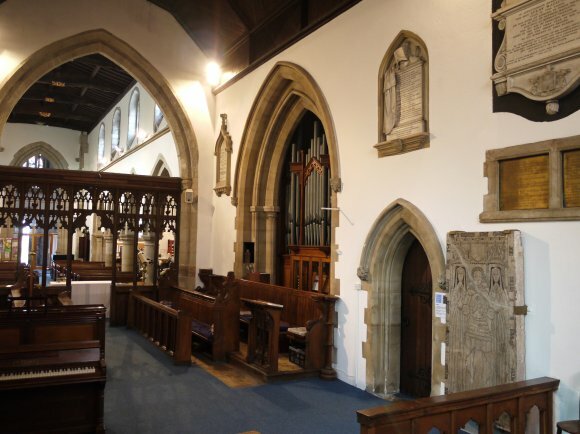 Faculty for erection of a new Organ in the Parish Church of Rothley in the County of Leicester and Diocese of Peterborough. Frank Theodore, by Divine permission LORD BISHOP OF PETERBOROUGH. To all whom it may concern more especially to the Vicar, Churchwardens, Parishioners, and Inhabitants of the Parish of Rothley in the County of Leicester and within our Diocese and Jurisdiction. Whereas it hath been represented unto us by a petition under the hands of the Reverend Lewis Henry Pearson the Vicar and Cecil Gorham Gee and Hubert Sleath the Churchwardens and other Parishioners and Inhabitants of the Parish of Rothley in the County of Leicester and Diocese of Peterborough. 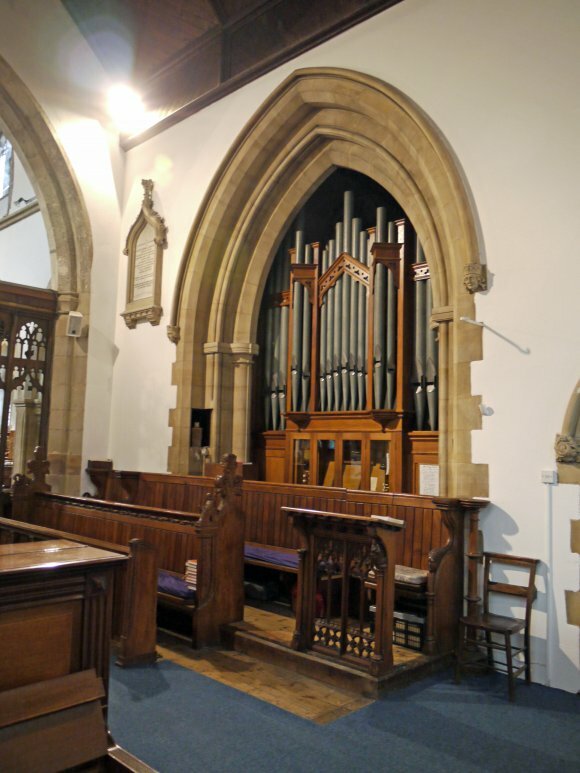 That is consequence of the Organ in the Parish Church of Rothley aforesaid being worn out and unworthy of the Church, it was proposed to erect a new Organ. 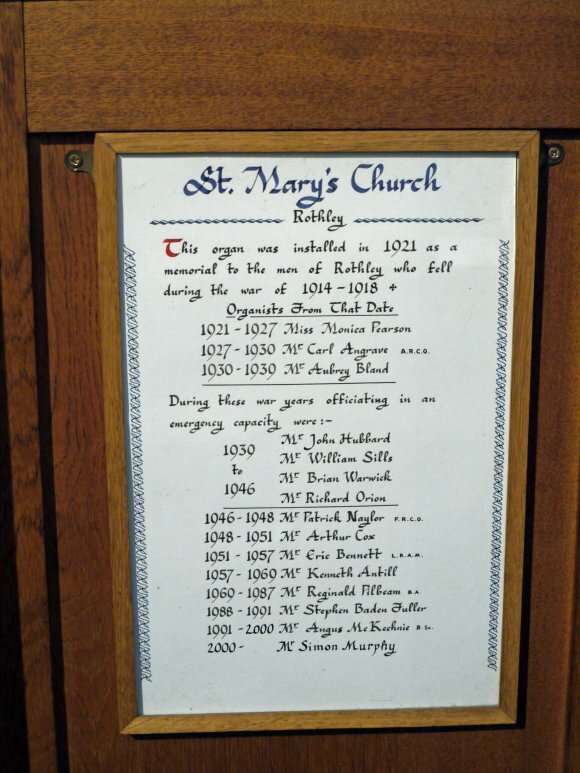 That at a Vestry Meeting of the said Parish duly summoned and held at the old Schools on May 12th 1919 it was resolved as follows namely that the Memorial for the fallen take the form of a new Organ at the Parish Church. The Organ to be supplied by Messrs Hill & Norman & Beard. That the above resolution was passed unanimously That the estimated cost was one thousand six hundred pounds to be raised by subscriptions, the amount actually collected being one thousand five hundred pounds That there was every prospect of obtaining the remainder That no graves, monuments, brasses and monumental inscriptions pews or vaults claimed to be held by the Faculty or Prescription nor any other private rights would be affected by any proposed works.